We transform more than retail spaces, we provide custom design and build of frameless cabinetry. Whether for new construction or remodel of residential, commercial, multi-family or senior living, Phoenix can offer design services, build and install. Unique custom options are available for kitchens and bath, offices, closets, built-ins, counter tops and integrated lighting. Let Phoenix turn your vision into reality. Clean, sleek lines with mixed materials like stainless, tile and smoky ash wood grain warm the area. Integrated lighting can provide illumination without the line of sight clutter of lighting fixtures. With a long-standing classic look, the design scheme can still show new without looking dated. Solid surface counter tops, neutral color contrast and molded-frame cabinetry provide the distinction this style is known for. The modern craftsman aesthetic is trending and provides a simple, uncluttered look. 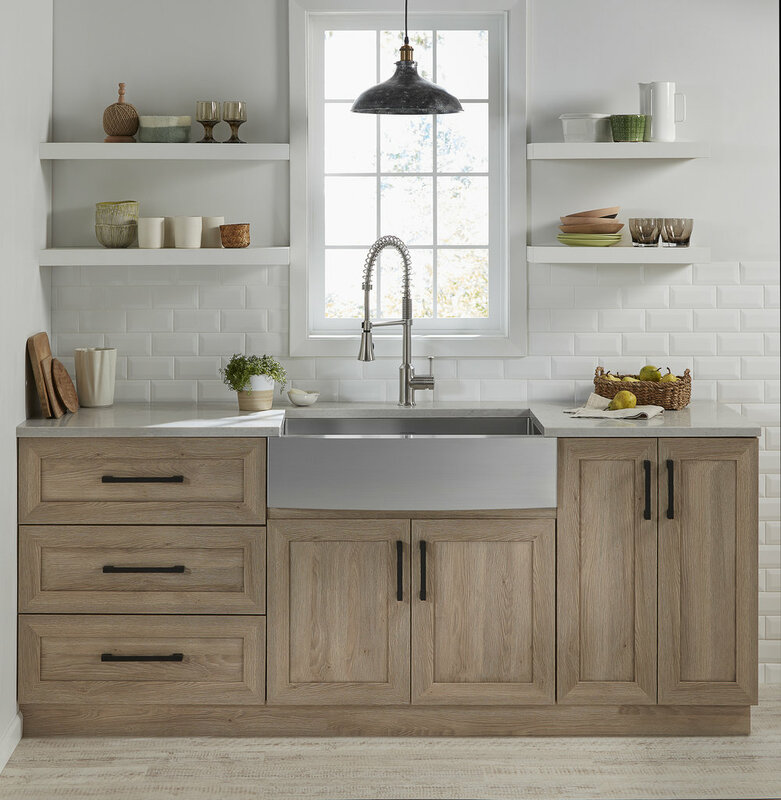 Deep farmhouse apron sink and open shelving - think muted colors mixing something vintage with something new.